Birds can be enjoyable pets and loyal companions, but it can be distressing when your feathered friend shows signs of illness and isn't its usual chirpy self. 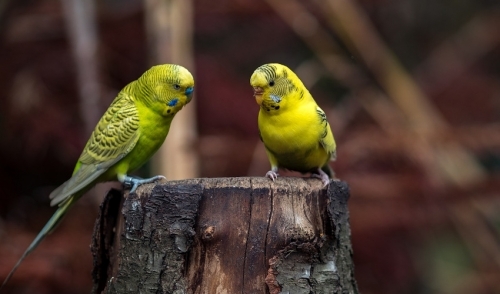 Recognizing common pet bird diseases and knowing the best solutions for these conditions can help you be sure your bird leads a healthy and happy life. Also called macaw wasting syndrome or proventricular dilatation disease, this illness is characterized by weight loss, vomiting and a swollen crop, and may even present with seizures or depression-like symptoms. Treatment includes providing a stress-free environment for the bird and a special diet, and severe cases may require non-steroidal anti-inflammatory drugs (NSAIDS). 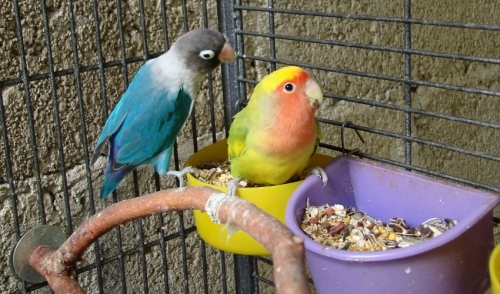 This bacterial infection is also called psittacosis and is highly contagious among pet birds. Labored breathing, lethargy and eye infections are common symptoms, and antibiotics are essential for curing the illness. This disease affects all parrot species and is particularly infectious among young parrots or birds that already have health difficulties. Symptoms include feather loss and poor plumage development, as well as abnormal beak growth. A skin or feather biopsy is usually needed to confirm the diagnosis, and while there is no current treatment, vaccines are under development that have shown promise to prevent this disease. This viral infection affects a bird's plumage and can cause abnormal feather growth or lack of wing flight feather or tail feather development entirely. Other symptoms include appetite loss, diarrhea and paralysis. This disease progresses very quickly, and there are no effective treatments at this time. A bird with candidiasis, also known as thrush, will typically show white lesions in the mouth and throat and may also be vomiting. Appetite loss is quite common, due to the difficulty in swallowing. This illness is caused by a type of yeast infection, and is most often treated with antifungal medication and keeping a cleaner environment, particularly food and water dishes. This disease is recognized by the combination of diarrhea or vomiting, weight loss and dry, itching skin, which may cause birds to nibble at or pluck their feathers. There are drug treatments for this illness, and it is important that pet birds are not overcrowded and they have clean water to prevent the spread of the disease. A goiter is an enlargement of the thyroid gland due to iodine deficiency, and in addition to a swollen throat, pet birds with goiters may be reluctant to feed because of difficulty swallowing, and their voices may change. Vomiting, weight loss and wheezing are other common symptoms. Dietary adjustments can help eliminate and prevent goiters, and iodine supplements may be necessary in severe cases. This disease is particularly common in parrot species and can cause severe liver and kidney damage. Other symptoms include diarrhea, lethargy, discolored feces and tremors or trembling. While this illness can be difficult to treat, there is medication available to relieve the symptoms. These are just a few of the diseases that can affect pet birds, and it is important that bird owners carefully research other illnesses and health conditions that may be a problem for their specific pet bird species. Because many pet bird diseases show similar symptoms, and because many birds are clever at hiding signs of discomfort until an illness has progressed drastically, it is important to always be vigilant about your pet bird's health and seek expert veterinary care right away if problems are noticed. An avian veterinarian can perform blood tests, biopsies and other procedures to accurately diagnose different diseases, even if not all symptoms are apparent. Once the illness is diagnosed, proper treatment can start and your pet bird can get back to health as quickly and easily as possible.